The Fjord is coming along nicely. The interior carpentry is just about wrapped up. We have finished putting in the helm door and aft window looking out on the back cockpit. 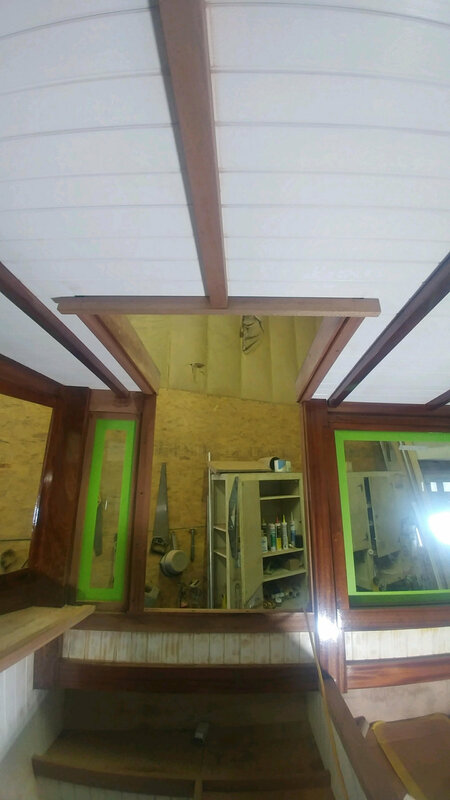 Varnish has been applied to the all windows, trim, doors, and accent pieces. Next we will begin painting the tongue and groove white. After that we will be on to the outside. 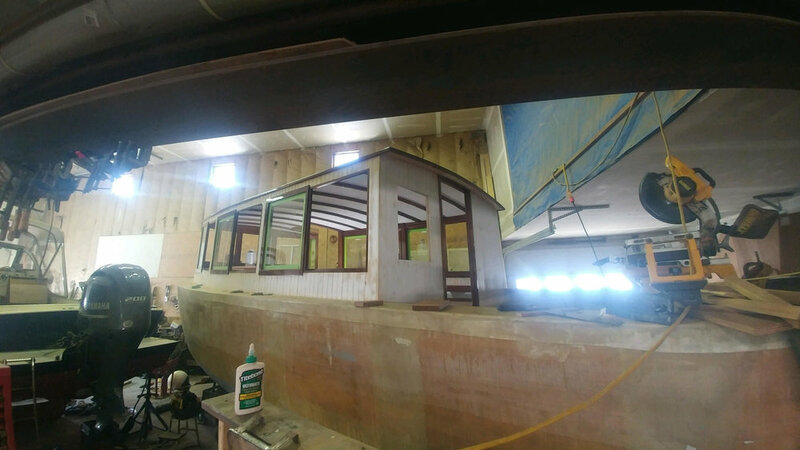 The boat came to us with the hull already glassed, but it had been done improperly and needs to be ground down and re-glassed. The tedious parts are over, the rest is grind and paint then on to systems. Heads down brushes up.